Duet Design Group is one of the premier interior design firms in Denver with a reputation for perfection and impeccable service. Our principals believe in designing complete spaces to ensure cohesiveness throughout the home. The comprehensive process begins with a thorough understanding of our client’s vision, preferences for colors, patterns and textures as well as a review of collected inspirations. There is typically a blending of styles and genres that occurs as the foundation of the design begins to unfold. The Duet team aspires to create unique environments that are as individual as the clients themselves. Every project is led by one of the principals, Devon Tobin or Miranda Cullen, and backed by a professional group of design associates. Whether a client is building a custom home, remodeling or simply updating furnishings, the full service residential offering caters to every detail of interior design. This services package includes space planning/furniture layout, color palette, finish and lighting selections, window treatments and furnishings. No project is complete without the addition of art & accessories which ultimately brings the design together. Unlike many other design firms, Duet offers in-house purchasing with access to wholesale resources unavailable to the general public. Providing this end to end model allows clients to maximize their buying power from quality vendors. 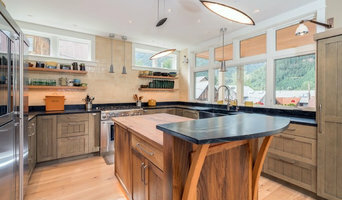 Duet has created a network of premium contractors and tradespeople to assist clients with renovations often simultaneously entangled with interior design. We engage only the best craftsman in the area to help bring our designs to life. Duet believes homeowners should only enter into an agreement with a contractor if their bid is representative of the true cost of the project. Since all finishes are selected by the design team prior to construction, clients are provided with hard numbers allowing projects to better align with overall budgets. Our goal is to surpass our clients’ expectations at every turn. We pride ourselves on a business model that allows for full transparency to ensure there are no surprises along the way. Learn more about the unique Duet Design experience from our client testimonials. If you still want Duet Design Group level designs, but need more of an a -a-carte design service, please visit our sister company, Inside Stories. Aneka Interiors Inc is a full service interior design firm specializing in residential, assisted living & multi-family projects in Denver and Northern Colorado. We strive to make each home, building or space we design as unique as the people it serves. Our interior design team specializes in integrating the elements of a design to make it flow consistently through the space. We select each individual item to work in the big picture, while always thinking of the end result. Atelier is an Award Winning full service interior design firm that specializes in whole-home/multi-room projects. 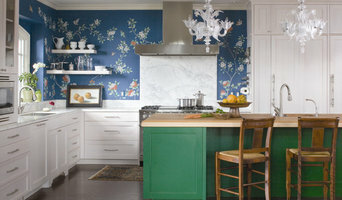 Our designs are driven by vibrant color & pattern, textural & sculptural details with eclectic style. We are inspired by anything global and full of culture. With over 25 years combined experience we’ve got the expertise to accompany our energetic approach. We travel, cherish family and understand independent, modern lifestyles. We laugh – a lot while being serious about your project and its outcome. We always strive for harmony. Up to date knowledge of industry standards, products and trades people keep Atelier at the top of their game. Atelier’s designs reflect each client from concept visualization down to the last detail. The end result is exceptional design that is functional and gorgeous. When done just right, your space is a direct reflection of you. The local art collection. The coffee table book titles. The funky-yet-comfy conference room chairs. That thrifted rug with the impossibly perfect pattern. All combined, these elements add up to something singular and unique. A place to call your own with no identical twin. At Inside Stories, we empower you to tell your story through thoughtful design. And we're all about the details. Your style inspiration. Your coffee order. What you splurge on. Our face-to-face philosophy helps us paint a perfectly unique picture of your ideal space. Then, we work with you to create a design plan that brings it to life. 2018 & 2017 Award winner in multiple categories recognized by the National Kitchen and Bath Association, 2017 HBA Rocky Mountain CARE Winner for outdoor space and kitchen remodels. 2018 CARE finalist in Commercial Design. HGTV, House Hunters Renovations Designer. 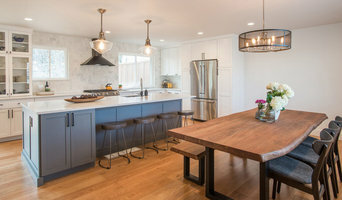 Truss Interiors & Renovations is a premier interior design firm located in Denver, CO. From furniture and space planning to home remodels and complete project management, we are known for our heightened sense of detail, our professionalism, and our ability to understand our clients’ lifestyles, styles, and needs. Transforming your home into your dream space should be an enjoyable and exciting process. That’s why we believe in going above and beyond for our clients, advocating for them and their design vision and taking care of every step in the design process, big or small. We pride ourselves in a level of project management that goes above and beyond what you might expect from an interior designer. From professionally procured designs to the day-to-day ins and outs of project execution, we take care of all the details— so you can realize your dream space without any of the stress or hassle. Visit our website trussinteriors.com for more details about our approach. Respected Experience. Superb Design. Leveraging over 20 years in the design industry while working with industry respected leader, Letty Rozell at Designworks, Diana Ellis has developed a unique portfolio of designs from contemporary to traditional across diverse projects. Ellis Design Studio assures that along every step of the design process, your vision, specific requirements and budget are taken into consideration. Your project's success is assured by the level of personal attention Diana gives each project, while making sure that your schedule is met and the end result delivered on time. The award-winning team at Ellis Design Studio has experience with clients and budgets of all sizes. We can assist you in any aspect of your project whether it is for a private residence, commercial property or model home. Voted TOP OF THE TOWN, 5280 Magazine and BEST OF HOUZZ WINNER since 2013. Deidre Oliver founded her Colorado, Interior Design firm in 1998 to meet the needs of residential clients looking to freshen up their living spaces. Deidre’s design aesthetic is sophisticated with an edge. Her clients benefit from a design that emphasizes her good use of color, form, texture and the juxtaposition of old and new. Her talent is creating rooms that mirror her client’ s personal tastes while incorporating form and function in a beautiful, timeless design. Reasonable interior design by the hour! 6x Best of Houzz winner, Carla Gennaro offers you the direction you need to make your space a more beautiful place . . . all at an affordable cost. A lot of clients want editors: someone with design access and talent to say "'this is where you buy that, this is the best price, and this is where it should go." That is the great service that Decorative Designs can provide you. Check out her 40+ FIVE STAR reviews. Carla can help give you the direction you need with your remodel, interior decorating or updating of your home by providing many options that include online or retail shopping. Book your initial consultation to discuss your projects and many of the packages she offers . . . or pay for your interior design as needed on an hourly basis. Here are some of the options Carla can provide to you: Option #1 – Initial 2 Hour Interior Design Consultation for $150.00 Whatever your budget, whatever your style, solve your decorating problems in about two hours. From wall color to window coverings, lighting fixtures to floor finishes, Carla will give you a detailed plan to help you better use the furniture and accessories that you have and show you what you'll need to freshen up your home. 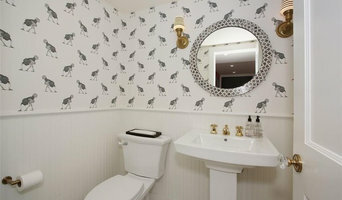 Option #2 – Project Re-accessorizing Let Decorative Designs re-accessorize your space . . . Carla will use your accessories and artwork that you love, but then add in some additional pieces from TJ Maxx Home, Hobby Lobby, Pier One, etc. This is a great way to pull together a space, all at a reasonable price! Option #3 – Full Home Interior Design Decorative Designs is a small design company that can provide interior design guidance on all aspects of remodeling, updating and redesigning your home. Option #4 - Kitchen and Bathroom Remodeling Consultation Overwhelmed with all the decisions needing to be made for your remodel? Let Carla help you on your kitchen and bathroom remodel . . . including the cabinetry color and style and all the associated interior selections. 328 Design Group creates beautiful, efficient designs to make your home exactly how you want it to feel. Combining functionality with beauty, we create interiors for living in, with thoughtful design given to every aspect of your home. We work with the entire design and build process in mind to ensure that your dreams become reality. With careful planning and forethought, 328 Design Group will seamlessly transform your home from concept, to design, and through construction. We love creating the feeling of home, exactly how you imagined - transforming your kitchen, your bathroom, or your new favorite room into the heart of your home. With the perfect furnishings, accent, and style for a single room to a complete home refresh, we look forward to helping you love where you live. Quel est le rôle d’un designer d’intérieur ou décorateur sur Denver, CO dans la création de la décoration de ma maison ? Ce sont des entrepreneurs aptes à déterminer et comprendre les besoins de leurs clients. Ils mettent à profit tout leur génie créatif afin de concevoir un intérieur harmonieux correspondant aux exigences des propriétaires. Véritables concepteurs et artistes, les stylistes d’intérieur ou décorateurs sur Denver, CO réalisent les planches de tendances, visuels et croquis pour proposer un style de décoration pour votre projet. Il sont en mesure de vous aider à choisir vos solutions d’ameublement. Il peuvent vous aider à sélectionner du mobilier ou à opter pour la création de meubles sur mesure. Il pourront ensuite réaliser les dessins et plans d’implantation des meubles dans les pièces. Le décorateur ou styliste d’intérieur est votre conseiller en accessoires de décoration comme les rideaux, miroirs, tapis, plaids, coussins. Véritable connaisseur des arts décoratifs, il est aussi capable d’agir en coach déco. Il est à même de vous faire des conseils d’achats pour des objets décoratifs, comme des vases et des bougies déco tendances. Comment choisir un styliste d’intérieur ou un décorateur intérieur sur Denver, CO pour définir le style de mon appartement ? Pour trouver un décorateur d'intérieur sur Denver, CO, affinez votre recherche dans la section « Trouver un pro » proche de chez vous ou par nombre d'avis. Nous vous invitons à regarder des photos de maisons aménagées et décorées par professionnel qui a travaillé sur des projets similaires au vôtre.